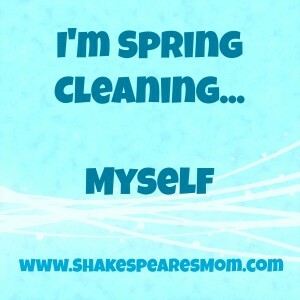 It’s April, it’s almost Easter, and I’ve decided it’s time for some spring cleaning. So what am I up to, you ask? Dusting baseboards? Scraping up whatever is lurking beneath the stove? Finally cleaning off the piles of broken and abandoned crap on top of the china cabinet? That’s right. 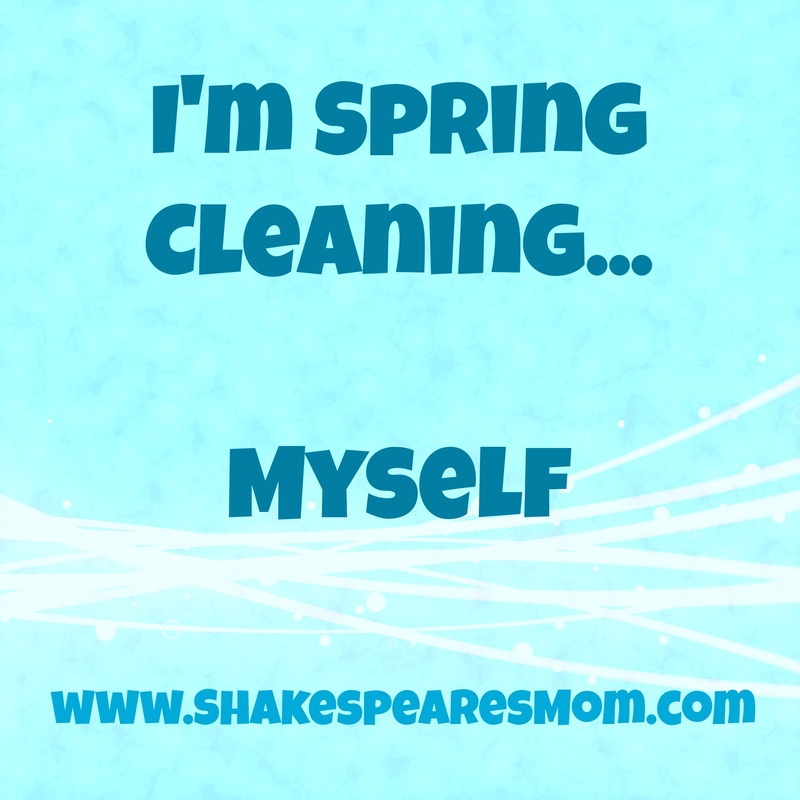 This mama hasn’t had a decent break from the never-ending hamster wheel of childcare, cleaning, and other housewifey stuff in a loooong time. So while I really SHOULD be scrubbing and hauling and organizing and whatever, I’m not. Because I can hardly even keep my puffy eyes open right now and I need a break. My husband has kindly agreed to give me a little break today, and you’d better believe I’m taking full advantage of it. I’m typing this very post at the library. The lovely, peaceful library. The reason I really need to spring clean myself, so to speak, is that I have been totally neglecting my health for too long. I should probably make dentist and spa and eye doctor and regular doctor and chiropractor appointments for myself, but today I have this little window of time and I’m starting small. I’m going to return my alarmingly old-lady-gray roots to a nice shade of young-person brown. I bought some BB cream, you guys, and I’m expecting some glowing radiance for my poor, tired skin. I’m going to use a sugar scrub and a face mask and whatever other goopy stuff I can find in my bathroom. I’m going to drink a boatload of cucumber water and flush out some toxins, or something. Maybe I’ll do some yoga. Right now though, I’m going to tell you about how I spring cleaned my teeth. I’m excited about their new, fresh-for-spring, whiteness. The very kind people at a company called Smile Brilliant sent me a teeth whitening kit to review. I’m not kidding about the kindness. The guy in charge of setting up stuff with bloggers was SUPER nice over e-mail even when I was taking forever and being my general, disorganized self. I’d been wanting to whiten my teeth for some time, but was not about to pay a ton at the dentist, and the Crest Whitestrips I’d used before made my teeth hurt. Enter the Smile Brilliant kit. I’m not being paid by this company for this review; I just received a free kit from them, and I promise to be completely honest in my assessment. The kit includes a gel “pen,” flexible plastic guards to go over your teeth, and an LED light that you use to activate the gel. Once you get the hang of the clicking-gel-releasing-painting pen thingy, it’s pretty easy to use. If I can do it, you can do it, trust me. So you paint the gel, which has a refreshing tingly feeling to it, on the fronts of your teeth, put the plastic guards over them, and then hold the light in your mouth and turn it on. I did it for thirty minutes each time I whitened. 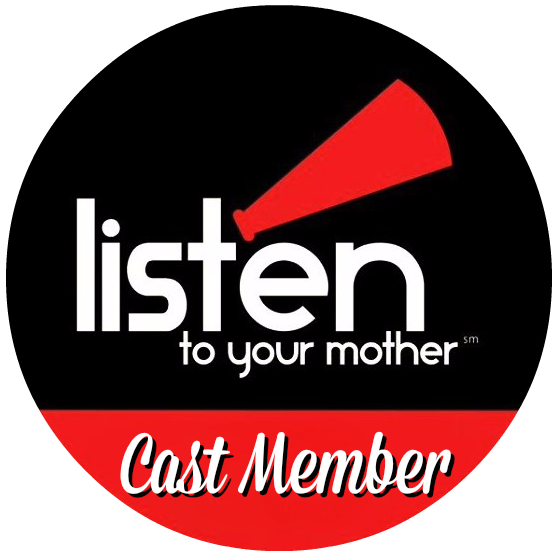 There are options and instructions that you get with the kit that are easy to follow. You’re supposed to do it about 5 – 7 times I think, and I did it 5 times. I couldn’t manage to do it 5 days in a row, but I did it twice one week and three times the following week. It probably works better if you do it all in a row, but you know, kids and stuff. It works. 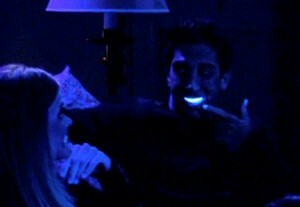 My teeth are whiter than they used to be, and even if no one else notices, I do, and I didn’t want to look like Ross from Friends with his glow-in-the-dark teeth anyway. Too much, Ross. Too much. It’s reasonably priced. The kit I received retails for $39.95, which is comparable to products you can buy at the drugstore, but it’s higher quality. It didn’t make my teeth hurt! This is amazing. I have fairly sensitive teeth and I figured I’d have some tooth-pain with this product, but I don’t! Hooray! There was one thing I didn’t really love about using the product, but it may not apply to most people. See, I’m kind of drooly. Not like all the time or anything, but you know how in movies, someone will be brushing her teeth, and she’ll pause and turn away from the sink to say some stuff, and then turn back, spit once, and she’s done brushing her teeth? It’s so tidy! When I brush my teeth, it’s nothing like that. It’s splashy and foamy, and I can’t move away from the sink or I’ll trail toothpaste and spit all over the place. What is wrong with me, you wonder? I don’t know. A lot. But anyway, having to keep my mouth closed around some gel and plastic thingies for a full thirty minutes made me super drooly. Taking out the guards was a mess. I had to do it at the sink and then basically clean the whole bathroom afterwards. Oh and one time I made the mistake of watching an old episode of Queer Eye for the Straight Guy on Netflix while I whitened and I had forgotten how funny those guys are. I couldn’t stop laughing and that made it so I couldn’t keep the light in my mouth and drool started dripping onto the dog my lap, and I had to start over. So you should probably watch a Civil War documentary or something while whitening and save Carson Kressley and his pals for another time. One thing that is slightly inconvenient is that you have to hold the LED light in your hand to keep it on your teeth, so the whitening experience is not hands-free. It’s only for half an hour though, so you can watch TV, or type with one hand, or pat your cat, or whatever you want to do. Take the time to relax a little. And now, the BEST PART: Smile Brilliant and I are giving away a whitening kit just like the one I used TO ONE OF YOU!! All you have to do to enter is use the rafflecopter thing-a-ma-jig at the end of this post. If you haven’t liked me on Facebook or followed me on Twitter yet (why on earth not??) then be sure to do that, and you can get more entries by liking and following Smile Brilliant as well. 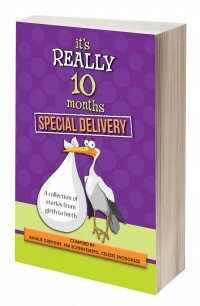 People living in the United States, Canada, Australia, and the UK are eligible to enter. The giveaway ends in a week, so make sure to enter!! Your teeth, like mine, can be all fresh and sparkly (or at least not quite so blah) for spring. By: Kate Parlin on April 19, 2014.